100 Wacky Things Game makes a great Holiday Gift! Looking for a fun Game for the kids on your shopping list this Holiday season? 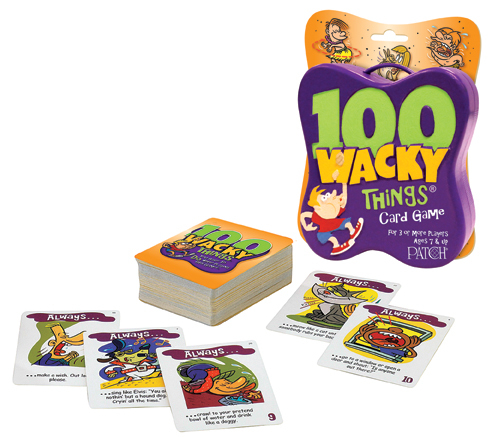 100 Wacky Things Card Game really is so much fun! Actually, it’s not just for the kids! It’s great for families with children ages 7+. We have played it a few times and couldn’t stop laughing each time we played. There are two sets of cards: Always and Whenever. 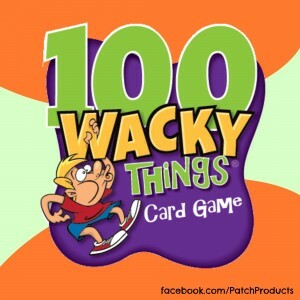 When you select an Always Card, you will do the wacky thing on your card every time it’s your turn. A Whenever Card tells you to do what the card says whenever another player does something specific. A Guaranteed fun family game night when you play this game! Available at Walmart this Holiday season! But, wait! We have teamed up for a Giveaway! A quick one too! So enter today! Three winners will win this game! Leave a comment below telling us a Wacky thing you are your child has done! Deadline to enter in December 12th, 9 am PST. Three winners will randomly be selected via Random.org.